CCTV is the acronym for Closed Circuit Television, used most commonly for security purposes in society. Every day we live with CCTV, which defined a new urban panopticonal reality, and sacrifice our privacy knowingly or unconsciously. 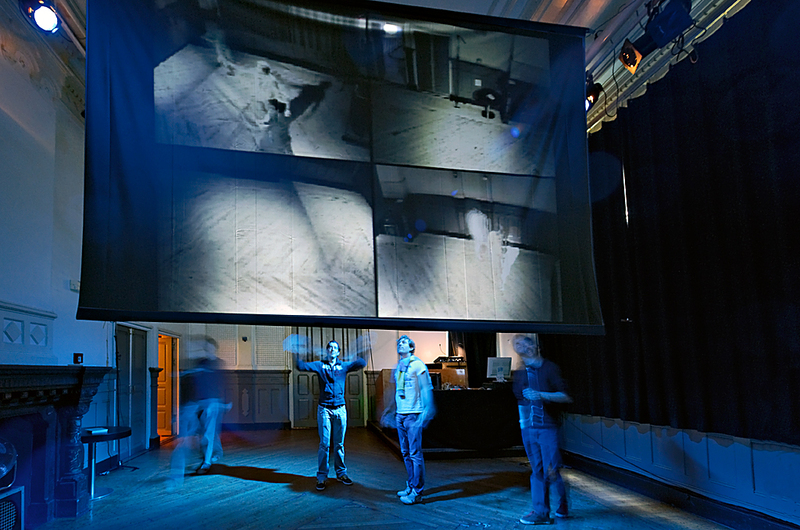 Movement is registered by four CCTV cameras and the sounds in the room are recorded with microphones. 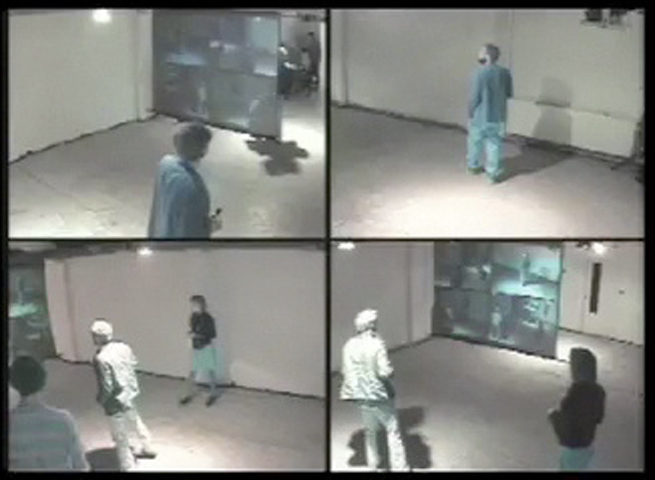 Hotspots on designated locations in the CCTV images contain sound and will be activated by the movement of the visitor. 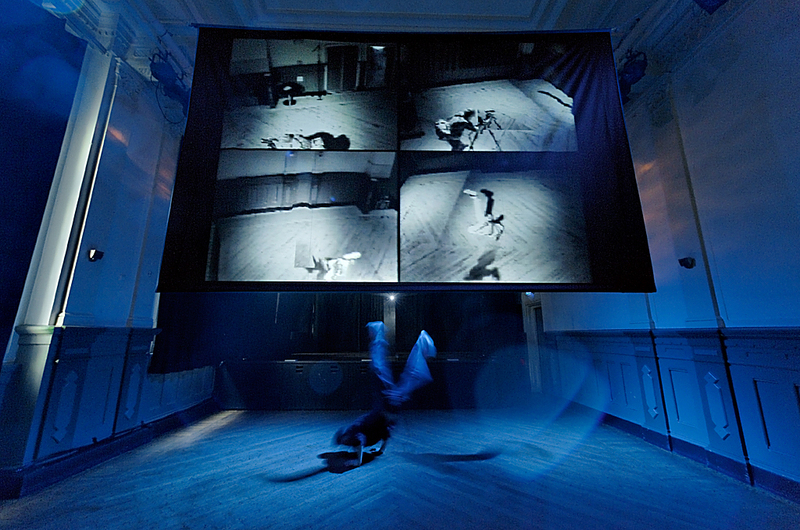 Converted by MAX and Ableton software, the reworked images and sounds are blended with other sound files, transmitted back into the room and translated into music. The installation revolves around the idea to move through a space freely with use of the same equipment usually to restrain free motion. 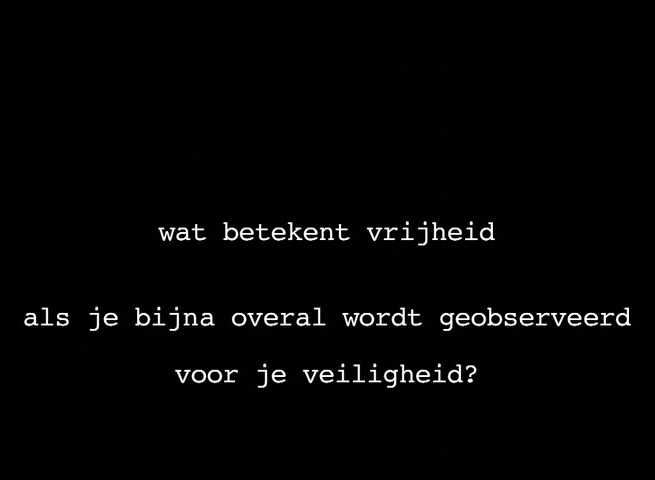 The short video 'what does freedom entail if you are watched almost everywhere for security purposes?' won the 1st prize of the pitch 'Liberty City: The Great Freedom Contest' organized by Amsterdams Bevrijdingsfestival, Club Interbellum and Felix Meritis at Felix Meritis, May 5th 2010, Amsterdam. The 1st prize entitled me to realize the project OPEN-TV in the following year.